The Pulvertaft Hand Centre is a long-established specialist hand surgery centre within the Royal Derby Hospital. They required a system that would let them quickly find and view archive patient data for the purpose of producing reports and letters. The previous database was a DOS system launched in 1987 that had a lot of useful information but would take hours to produce reports or make a search on the extensive amount of data. The system also didn't allow for specific reports and would mean the staff would have to manually go through all the data to find what was relative. We cut the data processing time down from hours to seconds. 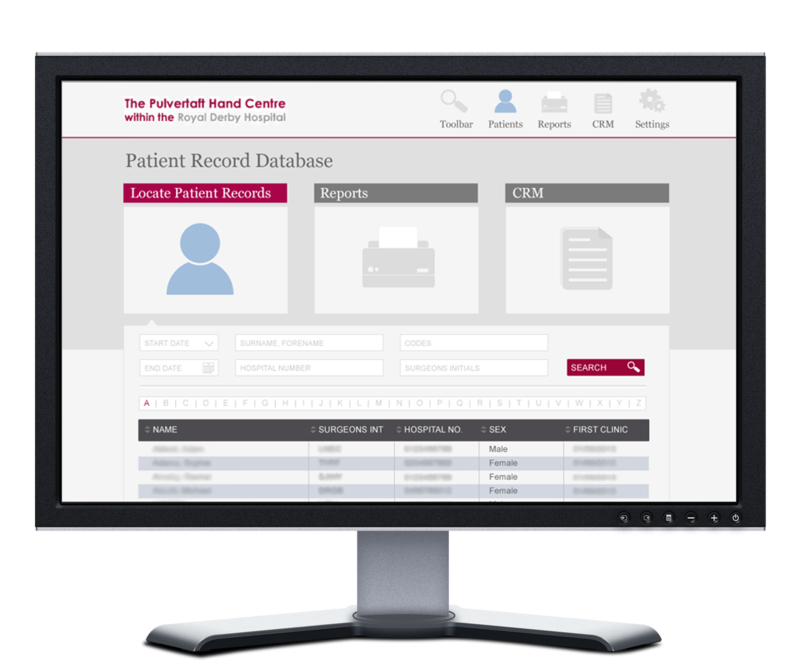 The reporting tool in the system allows the user to create bespoke reports using filters and field selectors. This information can be printed if required and the data from each query is stored in an individual CSV file (comma separated values) in an archive folder to allow statistical analysis. We created a user-friendly interface with powerful advanced search options to increase the unit’s administrative efficiency. The administrator has the ability to create users and set access levels within the system. There is no limit to the number of users. We created a reporting tool for the users to quickly be able to pull out the information they needed. These reports are configured by selecting a table first then selecting the relevant fields, then sorted and filtered as many times as necessary. Reports can be saved to be used again in the future. CRM has two main functionalities. 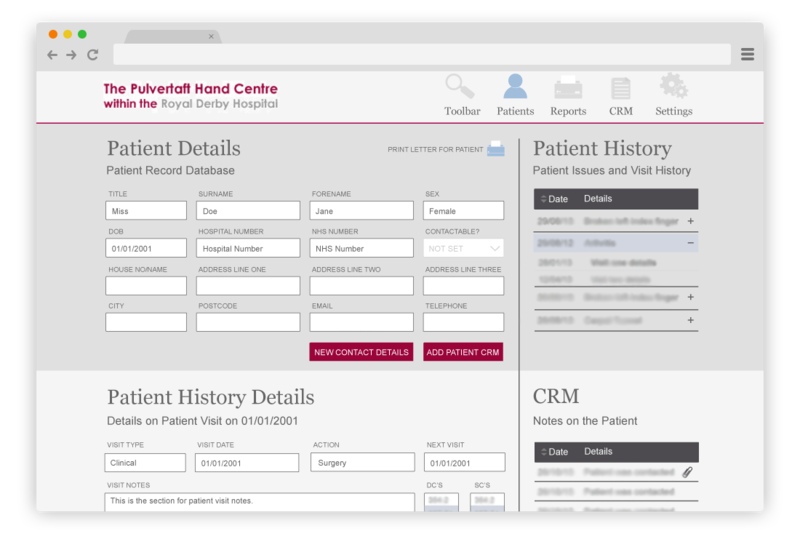 The first is for single CRM notes, this is used to add notes to individual patients to keep a record of any contact that has been made to patients. The second is for batch notes, these can be created in a variety of formats including letters with the unit’s letterhead included. This is useful to create a mail merge to send many patients the same letter. Template documents in RTF (rich-text format) are uploaded by the administrator and used in the mail merge. There is no limit to the number of these documents. What do you need developing?